Perhaps you're familiar with Pinkberry. It's the frozen yogurt concept that launched amid a flurry of long lines, celebrity praise, and customers driving hours just to get a taste of the tangy yogurt at its original Los Angeles location when it opened in 2005. Since then, the brand has continued to grow--as has an exploding slate of competitors--and now comes news of a fresh injection of capital and some ambitious expansion plans. This spring, Pinkberry announced $9 million in new funding from "both current and new investors as well as global and national expansion agreements," says Pinkberry CEO Ron Graves. One existing investor that continues to throw its support behind the brand is Maveron, a venture capital firm co-founded by Starbucks Chairman Howard Schultz. According to Graves, the new cash will continue to fuel company growth--and growth is certainly on the menu. For example, Pinkberry just signed its first global expansion agreement with M.H. Alshaya Co., an international franchise operator with more than 40 franchise brands and 1,500 locations in the Middle East (names like H&M, Starbucks, Dean & Deluca, and Topshop). "Pinkberry has international consumer appeal and strong global brand potential," says Graves. "They are clearly recognized as a leader in international, multi-unit operations with a very impressive brand portfolio." But Pinkberry also has domestic expansion news to share, too. HMSHost, a leading retail operator of specialty travel venues that operate in more than 80 percent of U.S. airports, will open its first Pinkberry store at Los Angeles International Airport (LAX) in Terminal 1 this fall. "That's simply a great location for us, and we'll be looking to expand into other airports where HMSHost is," says Graves. As if all of this weren't enough, the brand has just opened its first store in Northern California, in San Jose, and plans to continue expansion in that market. Graves says they plan to develop a minimum of 30 stores in the San Francisco Bay area and Sacramento markets. "And we're looking at other U.S. cities that we're just not prepared to discuss at this time," he adds. With all of this planning and development going on, lead generation and recruitment strategies are certainly at the forefront of Pinkberry's growth plans. "We've had thousands of people interested in getting in on the Pinkberry concept," says Graves. From that pool, Graves says Pinkberry looks for potential franchisees with multi-unit experience, local market knowledge, and, of course, the capital to grow a market. "But the most important quality to us is someone who is a good partner, a person who has like-minded values that blend with our culture and brand," says Graves. That "culture" is a big deal at Pinkberry. High standards of quality in products and the way they are delivered rest side-by-side with detail-oriented operations and strong, close relationships with customers. Pinkberry relies on an internal development team to generate and qualify leads. "That team is one of our strongest assets, with a very proactive approach to development," he says. As for brokers, portals, and other lead generation methods, Graves says, "We use any and all methods to find the gems." This may all seem like grand designs for a relatively young franchise, but the frozen yogurt market (popular in the 1980s before waning) has experienced somewhat of a resurgence in the past couple of years. Pinkberry has worked hard to separate itself from the pack by creating brightly colored shops staffed by helpful, enthusiastic employees focused on customer satisfaction--and of course, a premium, healthy yogurt that comes mixed with the fresh fruits and other natural ingredients. Still predominantly located on the two coasts, there are presently about 70 Pinkberry stores in the New York and Southern California areas. To what does Pinkberry attribute their success so far? 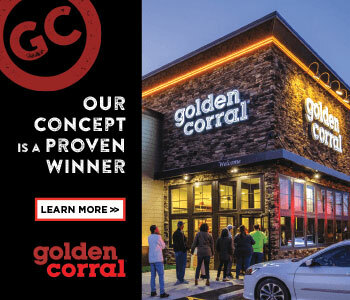 "There are three key areas we focus on," says Graves: 1) the design of the store and the physical experience; 2) the quality of the product, the toppings, and the tangy taste; and 3) the people--"the human connection between our team members--our employees--and the customers," says Graves. Sounds like Pinkberry is raising the bar (and many spoons) in the yogurt sector.